Bream bonanza Will there be Cod this weekend? As Sean had predicted the winds proved spot on for cod fishing at chesil, with many fine fish being caught. 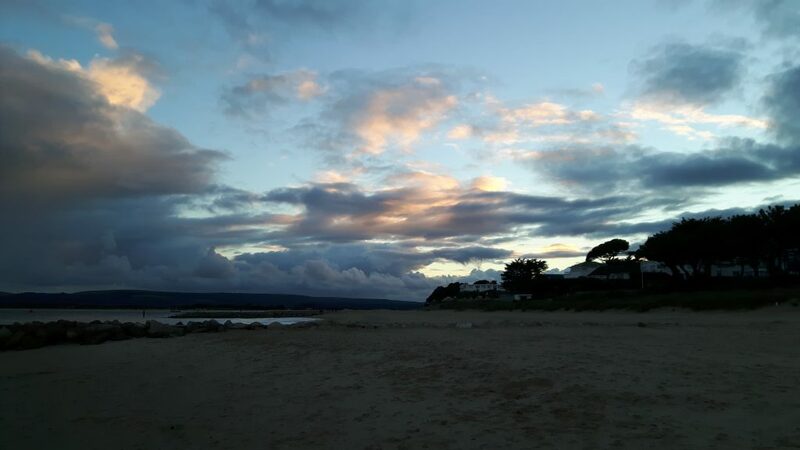 However with my wife nabbing the car I chose to fish closer to home at the Sandbanks on Saturday. It was no real hardship as I had a feeling there maybe a plaice or two about. In preparation I dug some lug and ragworm on Friday evening, we don’t get many black lug in Poole Harbour but I managed a few blows along with some ragworm enough at least for a few hours fishing. I was dropped off and ready to fish around 3pm which meant I had missed what I consider to be the best parts of the tide. Still I could fish the ebb running out to low water at 6pm. I opted to fish on the end of one of the groynes well out the way of the dog walkers and also gaining me a few extra yards distance. Casting two rods at distance. One set up with a bomber rig the other with a single hook paternoster with green and black beads. Both set for plaice but after ten minutes it became apparent that there was going to be a problem with weed as both rods were bowing under the heavy strain of a ton of it. Reeling in all the weight of the weed was hard work and on the first cast after removing what seemed like ten tons of stinking weed I found I had a double shot of small black bream! Shame as I didn’t know they were even there under the weight of the weed. To land the fish I had to walk back to the beach to offload the weed, had I done this on the end of the groynes my tackle would have got snagged on the rocks. Next cast the yet more weed, but this time a small bass mixed in the mess, and so it continued for the next fews hours. Tons of weed but nearly a fish a cast, nothing big but it was nice day and I was catching, not often that happens! Around 17.30 I noticed the tide had started to ease and the weed had dropped off a bit so I packed up basecamp and moved onto the beach. My hope was that the plaice come on to the feed around slack water so this was my cue to concentrate my efforts and get some good fresh baits out. Reeling in to put on change baits the weight on the end was heavy but not like weed more like a resistance on the end, I carried on reeling and was happy to walk a small plump plaice up the beach. “Top tip”: With all the weed jammed in the top eye at the leader knot it’s best to walk backwards and land the fish before removing the weed. I have lost some good smoothhound faffing about with weed jams and not concentrating on the fish! Slack water seemed to lasted about ten seconds, on the big spring tides it never lasts very long, so by 6pm the flood tide was tearing in. Another small bream and then back to the weed and more weed, signaling it was time to go. Whilst packing up I was approached by another angler just starting his fishing session. He explained he was new to fishing and had a new rod, reel, a couple of shop bought rigs and a big helping of enthusiasm. Which tide is the best tide to fish he asked? I could write a book about how I think it’s done but simply put! When fishing sandbanks I told him bass, bream and all other free swimming fish will feed quite happily through the flooding/ebbing tide. Other species like plaice ,flounders and rays I find tend to feed as the tide eases at slack water at high or low tide. I think that is a good basis to start on. I didn’t want to get him started on moon phases, neap tides, spring tides, water temperature, water clarity and wind direction as it’s complicated enough already. Keep it simple! A well presented bait in the water at the right state of tide can be all it takes. With the fairly good weather forecast I think there’s still a good chance of plaice and bream. 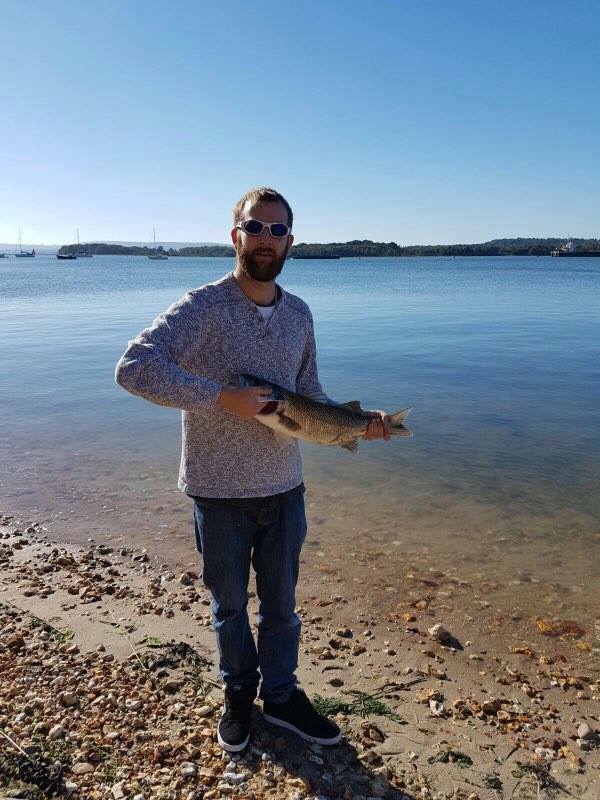 With some good bass on bigger or live baits around Poole and the harbour. Some good bass fishing has been had on lures around the groynes at night, mostly smaller fish with the odd big one thrown in, good fun on light spinning gear. 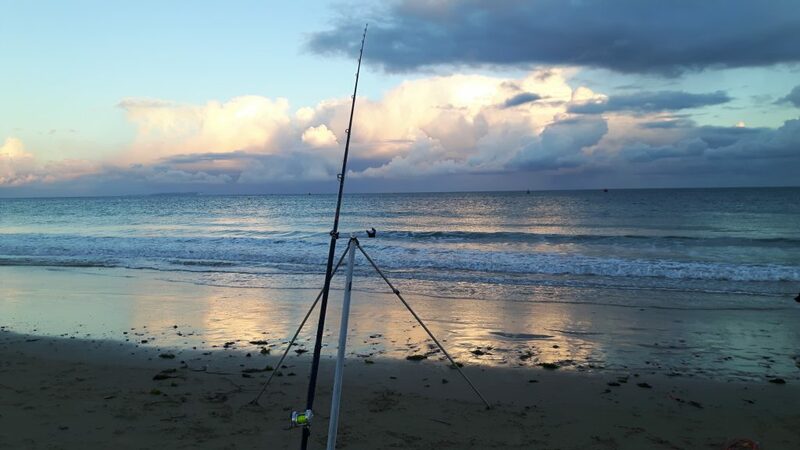 Southbourne still has had some good bream and rays in the evening’s with codling showing on bigger worm or cuttle baits. As the season progresses I will be offering guiding sessions for Southbourne fishing as well as flounder mullet and bass fishing in the harbour. Lastly I will finish with a great success story from one of our readers Aaron Corbin, in his own words. Nice to hear of someone benefiting from my musings well done Aaron and keep the catch reports coming! 2 Responses to "Sandbanks for weed, Plaice and a P.B. Bass"
Easily the best written article as usual on Fishing Tails. I loved the one on fishing for smooth hounds, was it last year, showing you with a whopper! I must book in with you when smooth hound time comes round next year. Is it spring time? End of spring we see the best of the smoothhound. Unfortunately the place we caught those big smoothhound is now closed to anglers. It was on a private estate. Same old story a few stupid guys spoil it for the rest.